I have been in Boston the past week helping my cousin moving into their new home. Moving homes is an hectic ordeal no matter how well organized everything is. With only a few boxes unpacked, we are trying to make the most of the ingredients we have on hand to make our meals. 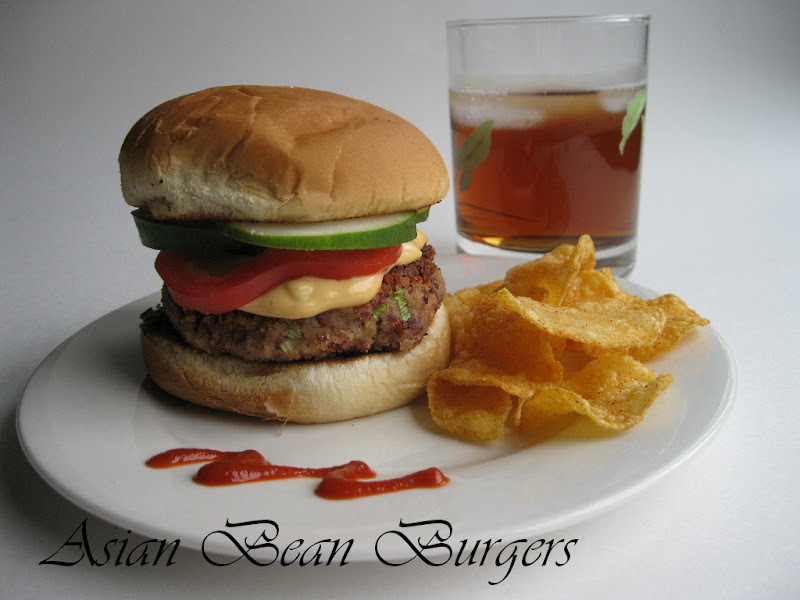 One such meal was from last night - Red Kidney burgers infused with Asian flavors. With the temperatures in the mid 20s, a warm meal with familiar flavors was just perfect. Mash the kidney beans using a fork or potato masher. 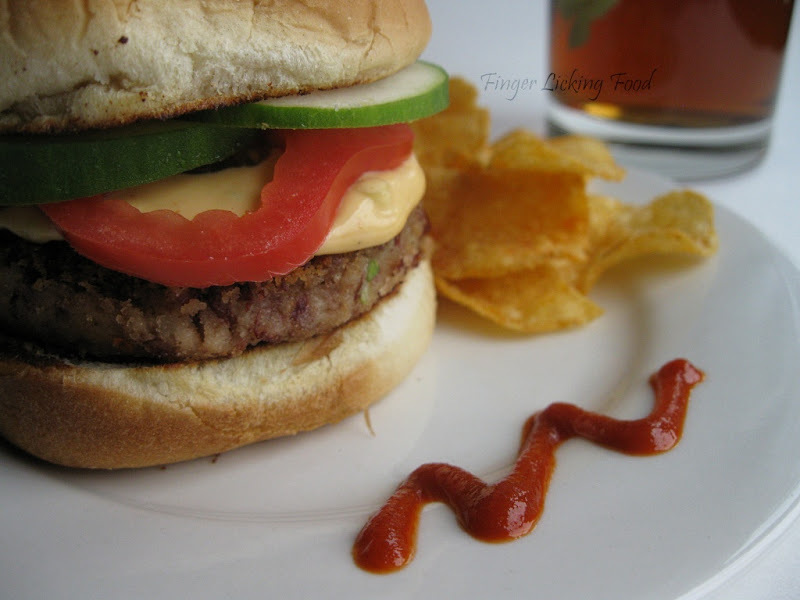 Add the rest of the burger ingredients, mix well and shape into three patties. Heat oil in a large nonstick skillet over medium heat. Cook patties 3 to 4 minutes per side until heated through and crusty. While its cooking, mix all the sauce ingredients in small bowl and set aside. Drain patties on paper towels. In the same pan, place the burger halves and toast for a minute. 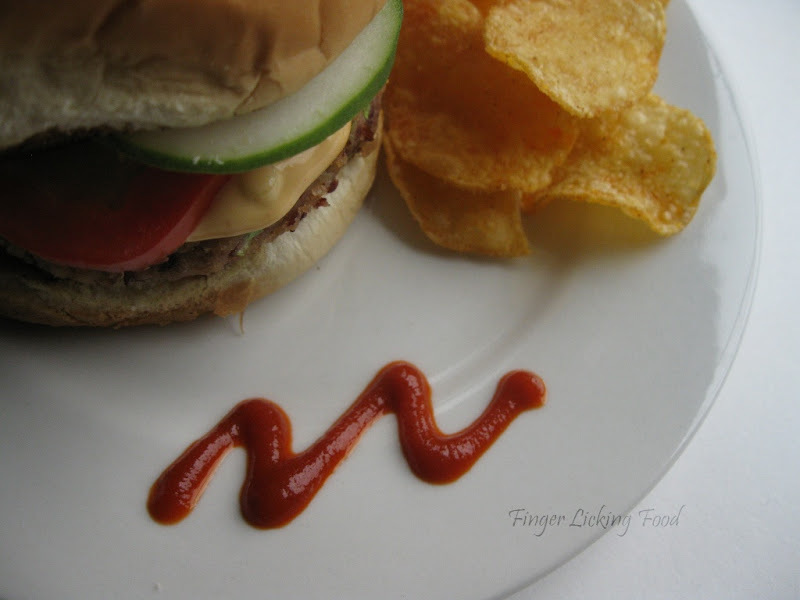 Assemble the burger: Place a patty on the bottom half of the toasted bun, spread a tablespoon or more of the sauce, top with slices of tomatoes and cucumbers and the bun. Serve while still warm. These burgers were moist I was pleasantly surprised that the soy taste was distinct and added that extra zing. tempting and inviting burger to have a quick bite. great recipe for vegetarians, i have tried with tofu and corn, will give this a try.Beautifully clicked. Bean burgers sound delicious and packed with protein. Awesome, I love veggie burgers! Wonderful dinner! Truely finger licking clicks...Lovely blog with a wide variety of food collection, wud come back often! Perfect burger! 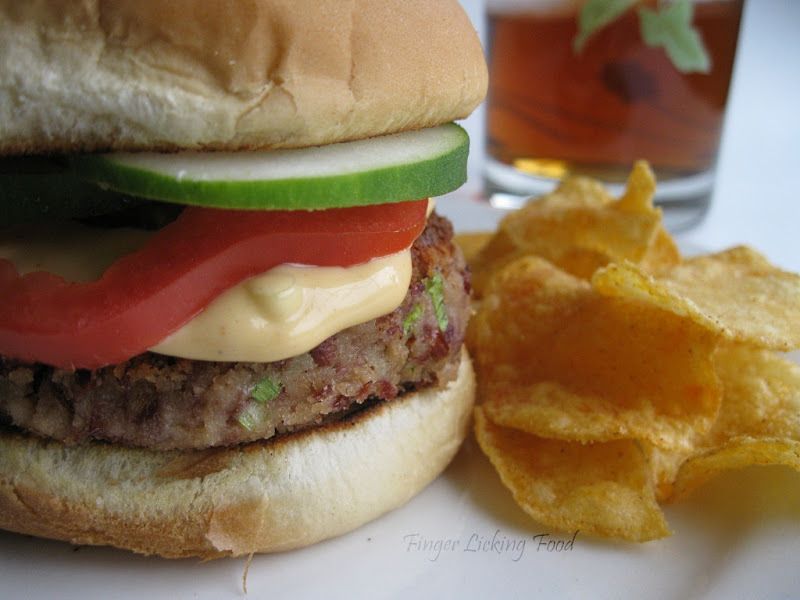 the closeup pic of the burger sure makes me drool!